Health First Network - Live the healthy Keto life! Are you puzzled and frustrated by your difficulty losing weight? That’s one of the many reasons you are hearing so much about the Keto Diet. Because it’s easy. And because it works. In fact, the Keto Diet works quickly – without feeling hungry. The Keto Diet is founded on medical science and nutritional research that healthy fats, as part of a ketogenic program, act as a metabolic catalyst, improve mitochondrial function and stabilize blood sugar. A healthy Keto Diet induces your body into an activated state of nutritional ketosis, an optimal metabolic zone in which your body rapidly burns up excess fat (instead of carbs) as its primary fuel source. 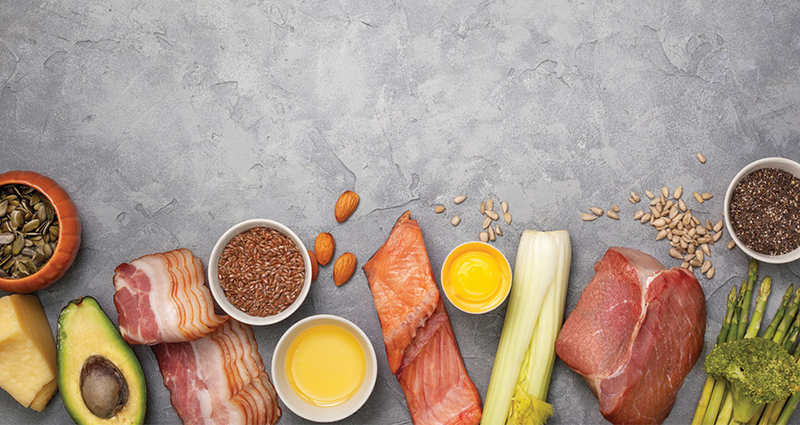 A Keto Diet is based upon eating healthy fats in combination with certain types of muscle-building proteins, and limited amounts of specific kinds of carbs. Health care professionals may also prescribe a Keto Diet for people diagnosed with metabolic diseases. Jump Start Your Fat-Burning Engine! Sometimes we need to have immediate results to stay committed to a successful weight loss plan. That’s why supplements are such an important aspect of your Keto metabolic weight loss plan. Supplements can help get you into a higher level of ketosis faster than with dieting or fasting alone. Having good digestion will give you the fastest, most noticeable results from your Keto Diet simply because you will be getting the most nutritional value out of the foods you eat. Naturally, any significant change in your diet can change your digestion. Digestive enzymes are needed to metabolise the unique ratio of fats, proteins and carbohydrates in your daily Keto Diet. Your entire digestive system will function more efficiently with enzymatic support. The superfood powers of spirulina and chlorella make all the difference in a Keto Diet. Their combined appetite-suppressing properties help you stick with your eating plan. Vegetation and green foods are greatly reduced on a keto diet. These food groups provide many of our vitamins, minerals, antioxidants and micro-nutrients. Supplementing with Spirulina and Chlorella can replace these nutrients, with negligible carbohydrates and provide a plant based complete protein source. Acidosis caused by pH imbalance, mineral or electrolyte de­ficiencies can be offset with spirulina and chlorella as they provide an abundance of alkaline forming micro-nutrients. It may seem odd to eat fat to burn fat, but recent research tells us that coconut oil does just that! Because of the unique way it’s metabolised, coconut oil is especially beneficial for your Keto Diet success. Here’s why: Coconut oil contains an extraordinary and unique combination of fatty acids with powerful effects on metabolism. In fact, nutritional researchers concluded that adding coconut oil to your diet stimulates fat loss, especially stubborn belly fat! Coconut oil is especially rich in a particular kind of fat called MCT (medium-chain triglycerides). Make it easy to monitor your Keto Diet success with reagent urinalysis KetoStrips. With this simple 40-second test you will clearly see your ketone level. As your body enters ketosis, there is a natural reduction of insulin levels at the same time there is accelerated fat breakdown. This is a good thing. During this process, your liver produces more ketones. Ketones are an important indicator for assuring your success on your Keto Diet. Organic Bone Broth protein is a zero-carb protein that easily fi­ts into the macro nutrient profile of a keto diet. Bone broth is a step above collagen, which is often derived from animal skins. Bone broth contains collagen, glucosamine, MSM, and hyaluronic acid. It also delivers minerals such as magnesium, phosphorus and calcium that can be limited on a ketogenic diet and can offset the Keto-Flu. Organic Bone Broth Protein can be added to almost any recipe to increase the nutrient value without adding carbohydrates. In response to starting a ketogenic diet the body can become low in mineral salts, especially sodium and potassium. Furthermore, people in ketosis require more salt due to lower levels of insulin. Electrolyte defi­ciency can lead to dehydration, heart arrhythmias and cramping. Electrolyte supplements neutralize acidosis and lighten the severity of keto flu.